Dread & Alive is the first superhero comic book with a Jamaican as the protagonist. 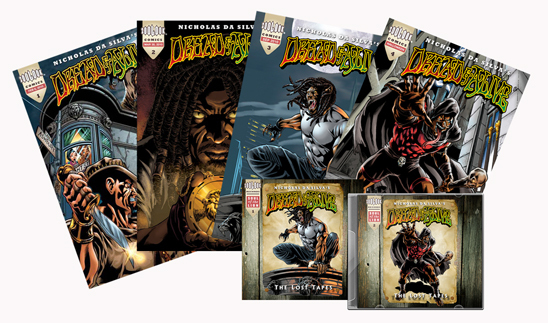 Created and written by Nicholas Da Silva, the story follows Drew McIntosh and his heroic exploits in the urban landscape of San Francisco and rural Jamaica after being empowered by a sacred amulet created by the Jamaican Maroons. Culturally relevant and boldly revolutionary in its undertaking, Dread & Alive’s stunning imagery capture the magic and the mystery of the epic fantasy storyline. What kind of scheming is Shadowcatcher engaged in? What are Gryphon and his henchmen plotting against the hero, Drew McIntosh? What will Drew do to counter this evil? Find out in Dread & Alive! Inspired by The Dread & Alive comic book, The Lost Tapes is a musical journey compiled by Soul of the Lion in cooperation with Zoolook to accompany the epic Dread & Alive comic book. Hailed by the Jamaica Gleaner as “new territory in the collusion of art and Jamaican music”, The Lost Tapes span reggae, dub, spoken word and soulful roots. Designed to be heard either alongside Da Silva’s comic book, or, as a special, standalone musical event, The Lost Tapes is a unique find for music as well roots and culture fans everywhere. 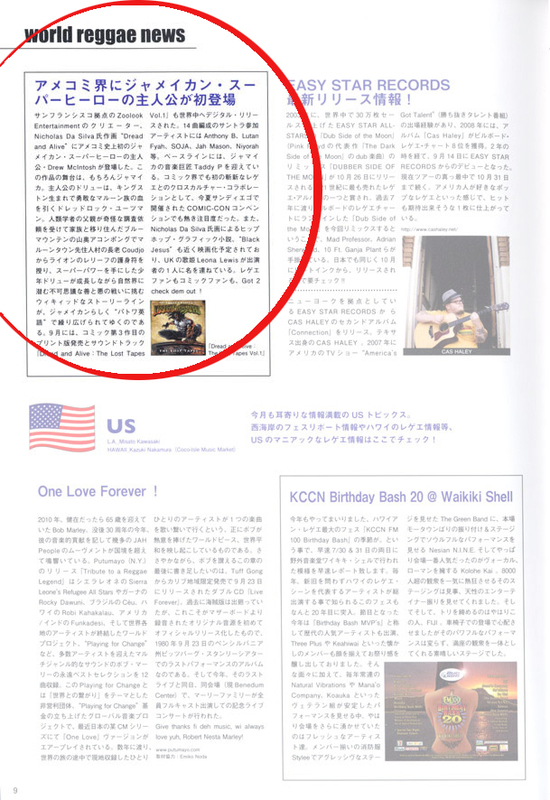 Dread & Alive is available in the USA, Japan, Netherlands via the Dread & Alive website.